My thoughts on the latest mini-album from You’ll Melt More! You’ll Melt More! are a much beloved Idol group and rightfully so in my opinion. 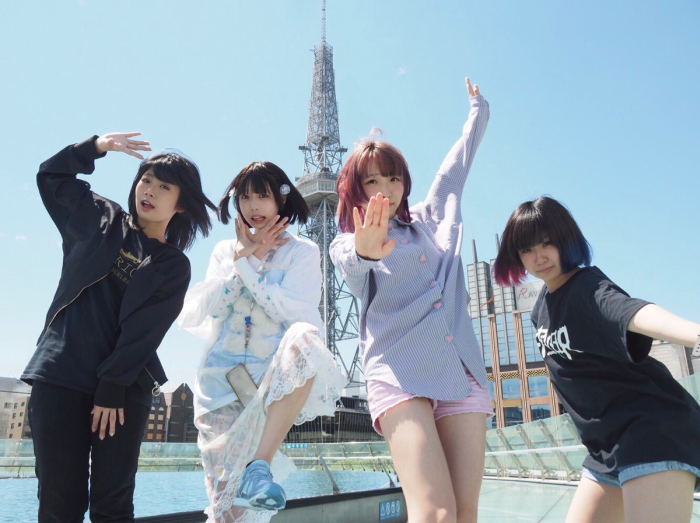 Not only have they been around forever in Idol terms (they’re celebrating their 5th anniversary in October) but they’ve put out some pretty creative and also very enjoyable music in that time. They even have what many people consider to be one of the all time great modern Idol albums in the form of “You Are the World”. That is some pretty high praise considering how tribal this fandom can be at times. If you’re part of a consensus then you must really be doing something right. That being said, there’s been a few bumps in the road along the way. I also haven’t totally loved everything that they’ve put out. A good example of this would be their last release “Kodoku to Gyakushuu EP” (review here), which while very good wasn’t entirely what I was looking for. Thankfully I don’t expect every single song that an Idol group puts out to appeal to my tastes in music so it’s not a huge issue for me. That being said, if it’s the start of a trend of changing musical direction then I do start to worry a bit at that point. Nothing to suggest that from You’ll Melt More! though…right? Well, You’ll Melt More! are back with a new mini-album this time. It’s obviously called “Disco Psychedelica” and yes the cover is indeed a homage to Scottish Alternative Rock band Primal Scream’s “Screamadelica” album cover. It might not be to everyone’s taste but I think it’s pretty cool. It’s what’s on the inside that counts though and I’ll be honest, the song or two I’ve already heard from this mini-album haven’t exactly blown me away. There’s 8 tracks here though so there’s plenty of opportunity for me to find something that I like. Let’s start the search shall we? We start things off with “melted”, which probably describes the current brain states of a lot of people who did psychedelics back in the day. That joke is probably the most interesting thing to say about this track. That’s not a knock or anything, but this is obviously meant to serve as a walk on track to start a concert and nothing more. Nice use of sampling in the form of the clip from 1967 horror comedy “Spider Baby” at the start though. From there we get our first proper song of the mini-album. “Moi Moi” or…”That’s enough” I guess? is billed as a “Glam Rock” song but I don’t know if that’s what I’d call it personally. It’s quite a mellow song by You’ll Melt More! standards and I wasn’t super into it the first couple of times I gave it a listen. However, the chorus has grown on me quite a bit. The bridge about 3 minutes in is also pretty great. Could have done without the almost constant synthesizer hum in the background throughout the song though. Yeah, I heard that. Some great guitar parts and synthesizer lines otherwise though. 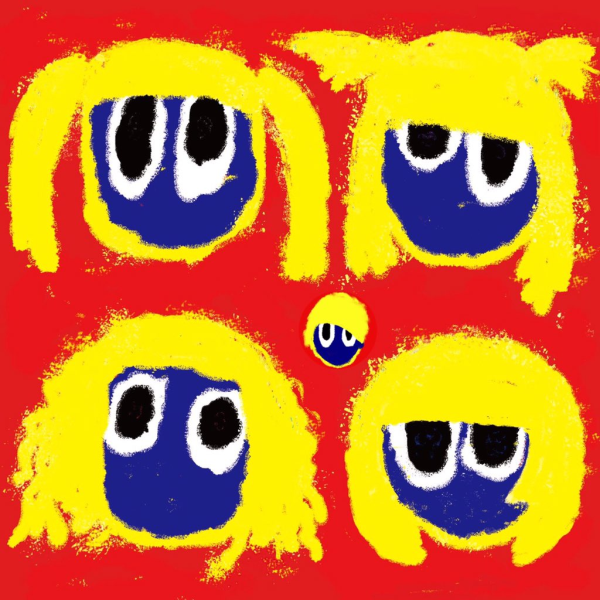 Up next is “Unmee” which was written and composed by Oomori Seiko, who is quite good friends with You’ll Melt More! and just about every other Idol group out there. You can really tell that this is a Seiko work as it features many of her calling cards (vocal structure, timings, etc). Once again this is quite mellow by the typical You’ll Melt More! standards. It plays more like a ballad than anything else, although they have tried to spice it up a bit with some heavier drum and guitar parts here and there. It’s not a bad song but it hasn’t grabbed me yet. I do get the feeling that it probably comes across much better when performed live for some reason though. We reach the mid-point of the mini-album with “Waga Na to wa” or “What is my name”. The lyrics for this particular song have apparently been written in an intentionally old fashioned way, not that I’d be any the wiser about that. The song opens with a pretty distorted synthesizer instrumental and vocals that wouldn’t sound too out of place on a NECRONOMIDOL song if I’m honest. All of that gives way for the chorus however, where we pull a 180 and go straight up Synth-Pop with some pretty catchy lyrics. We’re then back to “normal” for the verses and that’s pretty much the structure for the rest of the song. This one is actually really good, the best so far. I’m not totally sure what “Detekoi!” is supposed to mean, but the internet tells me it’s something along the lines of “to emerge” or “to appear” so let’s go with that. 10 seconds in and you already know this is going to be a wild ride. You’ve got a whole heap of crazy synth noises going on and when the vocals come in, the first “proper” You’ll Melt More! song finally makes its appearance on this album. There’s a whole bunch of crazy going on in this song but they manage to keep it cohesive in the way only You’ll Melt More! can. The chorus alone is worth the price of admission and the “De-de-de De-de-de De-de-de Detekoi!” parts just put a big stupid smile on my face. Yes. “Music 3, 4-bu de Owatchimau” might be the most literal song title I’ve seen in a while, possible even ever. It basically means “the music will end in 3 to 4 minutes” which is pretty accurate given the song’s runtime of just shy of 4 minutes. You get punked out a little at the start as the song wavers between Rock and Synth-Pop before settling into a predominately Rock number. Well, except for the huge sounding chorus where the synths come roaring back to life. The chorus on this one is also pretty damn catchy and at the very least crazy hyped. I’d also challenge anyone not to get pumped up during the build to the climax of this song. It was a bit of a rough start but these past 3 songs have been absolutely excellent. In a rather odd move we get a remastered song next, but not even a remastered version of an old song. Instead we get “Furuete Yomigaere” which just featured on the “Kodoku to Gyakushuu EP” 3 months previously. It seems a bit unnecessary in my view but they haven’t made the song sound any worse so I guess it’s okay? I’m not really noticing any drastic differences between the two either though so I guess maybe they just cleaned up a few small parts they weren’t happy with or something. The mini-album closes with “Eien no my boy” or “Forever my boy” maybe? I need to work on that Japanese folks. There isn’t really any way around it, this song is pretty much a ballad but it does have some Dream Pop/Shoegaze elements to it that I find at least somewhat interesting. There isn’t really too much to say about this one honestly, it sets a pace and it comfortably keeps to it for the duration. It’s pretty good but I don’t really know if this is the kind of thing that people really want from You’ll Melt More! though. Fair play to them for proving they’re more than capable of doing a song like this, it’s easy to forget that sometimes. We got off to a bit of a shaky start I won’t lie, but as things got going here I was really impressed with what was on offer from this mini-album. I mean sure, it’s no “WE ARE A ROCK FESTIVAL” (review here) but man not many releases are going to compare to that. There’s a good mix of “traditional” sounding You’ll Melt More! stuff as well as some more “experimental” stuff on this mini-album which I think makes it worth a listen for not only current fans of the group but those of you who haven’t given them a chance yet. I’m not really sure how much You’ll Melt More! have left in the tank for 2017. Things went pretty quiet on the new music front for the latter half of 2016, so who knows when we’ll next hear something new from them. It could be a while but I’m pretty confident that whenever You’ll Melt More! decide to provide us with some new tunes that it’ll be well worth the wait as always. The Alternative Idol Podcast Ep. 16 – What Production Budget?